Plantation Style Shutters Custom built in Texas by Texans. Our company was formed in 1993, as Southern Shutters, Inc. Our goal was to focus the skills and craftsmanship we had learned working in the shutter industry for years to develop a new type of shutter & installation.n order to build a shutter “that looks like it came with your home,” we custom match your paint or we will apply the exact same paint that was used in your home. We have 4 different louver sizes to choose from 1 7/8”, 2½”, 3½”, and 4½” as well as rod tilt or hidden tilt louver control. We offer a variety of trim selections to match perfectly in over 95% of the homes we shutter. And we stock eight different hardware finishes to blend with the hardware colors found in most homes. While Southern Shutters & Blinds started out as a small shutter manufacturing facility, eventually expanding to blinds and shades. Now, 21 years later we still manufacture our own lines of custom made blinds and shutters. In fact, we are the only local shutter and blind manufacturing company in the area. When you turn to Southern Shutters & Blinds, you’re turning to your neighbor. Not only do we create our own custom shutters and blinds, but we are a Priority Hunter Douglas Dealer as well. We bend over backwards to take on any project you can dream up, and our high quality custom made shutters and blinds, along with the Hunter Douglas blinds and shades, make all the difference in the results. Made in the Shade - Austin Lake Area, Inc.
InteriorsAustin provides window treatments and interior design services to discriminating homeowners, builders and contractors. With a degree in interior design Emily Callman has been in the residential design and window treatment industry for nearly 30 years. The Windowear showroom outside of Austin in Lakeway Texas showcases window treatments by Hunter Douglas as well as a full line of drapery and upholstery fabric. 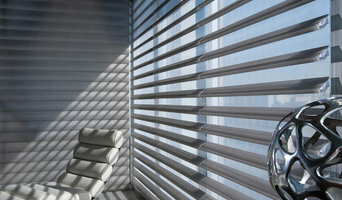 The showroom also features motorization by Somfy, Hunter Douglas and Goelst. Are you looking for Custom made Drapery, Shutters, Shades, or Blinds? 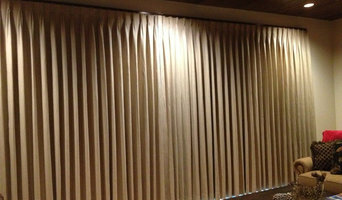 DECO Window Fashions of Austin, TX will take the stress and hassle out of window covering shopping. Every detail from planning and precise measuring to professional installation is handled with the most professional care possible. DECO Window Fashions is locally owned by Claudia and James Covian, a Family Operated Window Covering Dealer and Installation Service. Servicing Austin and surrounding areas in central Texas since 2004 with an A+ Ratting with the BBB. Our Mission is to provide High Quality Window Treatments and Installation Service to our Clients that they deserve and expect. So relax and let us do the rest. Texas Sun & Shade provides interior and exterior sun control shading systems, specializing in motorization. Our lines include customizable solar shades, window coverings, retractable bug screens, retractable awnings and more! Retractable shading systems are the most efficient way of providing sun control. 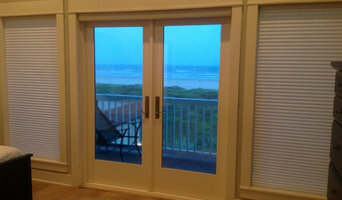 Versatility of retractable products provide optimal heat and light control as needed. Easily motorized, these products can be fully automated and integrated with your smart home systems. Trust Texas Sun & Shade to protect your home from the damaging sun with quality, state of the art, integrated shading systems. Blind Faith is the Austin, TX leader in fine window coverings. We work with home owners, builders and designers to find the best products for reasonable prices. Blind Faith provides free consultations to assess your particular window covering needs. We look forward to helping you find the perfect products for your windows. Supreme Shades is Austin's fastest growing custom window treatment and motorized blinds installation provider. Tableaux artisans custom-design and manufacture Decorative Grilles to your project specifications. Nothing is off-the-shelf and every piece is made to order per your specifications being totally unique! The versatility of Tableaux Decorative Grilles allows for virtually unlimited use in interior or exterior home design or home decorating projects. Check out our Decorator Lookbook ( <a rel="nofollow" target="_blank" href="http://tableaux.com/lookbook">http://tableaux.com/lookbook</a>) to see applications, designs and decorating ideas! Austintatious Blinds & Shutters was born on February 28, 2003. Norma Catano and Tracey Hopkins are the proud owners and parents to the Austintatious family. We’re an innovative full-service window covering boutique, located in the Austin Hill Country at the Shops at the Galleria. We specialize in a full range of blinds, shutters, shades, custom drapery, Solar Control Window Film, outdoor solar shading options and are experts in motorization. We are also a Hunter Douglas Gallery and feature the most current window covering fashions and trends. Our interactive window covering gallery offers full size displays of various window coverings and lifting system options. A little history for you - What started out as… what we referred to as ‘a lemonade’ stand, initially meaning taking a break from Corporate America, but quickly became much more. We realized a void in the industry – the marketplace was lacking honest, hardworking, professionals that simply did what they promised to do in the greater Austin area…at least when it comes to window coverings. Our goal, then and now, is to make a commitment to our clients to deliver the best products, service & experience. In 2014, we gave our clients a place to go to be of better service. Bee Caves Hunter Douglas Gallery became a place to touch, feel and see the window treatments in action. Coming into the gallery gives our clients the chance to fully engage and experience our products, giving them the confidence and support in their decision making when creating the perfect home. 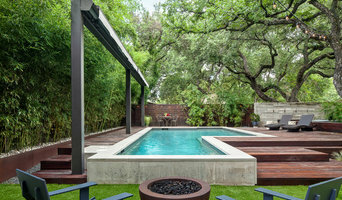 Austin's Award-Winning Window Coverings Resource - Best of Houzz! Gallery Design Center is a full service Window Covering & Floor Covering business serving Central Texas homeowners, businesses, and area builders since 1998. We carry the latest Hunter Douglas products including the exclusive Alustra Collection, our own Gallery Collection blinds and shutters, Phifer SunTex Solar Screens, & lots more. Supreme Shades is Austin’s fastest growing custom window treatment and motorized blinds installation provider. Formerly based in NYC, we have thee ability to transform your space and work with you on your project from design to execution. At Supreme Shades, our full-service process has proven successful and is the unquestionable way to save time and money on any project. We offer a wide variety of motorized shades and window coverings for your interior and/or exterior shading needs in Austin, Texas and the surrounding areas. Our expert staff utilizes a personalized approach that guarantees our clients the finest services from the initial consultation and measurements to the final installation of your window treatments. Robin Bond has been designing custom drapery since 2003 and it has always been her first love and passion. Draped was established in 2013 as a complimentary business to Robin Bond Interiors, a boutique interior design firm. Robin Bond created Draped to focus on creating beautiful drapery, and to assist clients who are looking for quality window coverings, but do not need to embark on a full interior design project. Through Draped, Robin is able to specialize in unique custom drapery designs and their integration with large or complex windows, and to provide quality window treatments such as shutters, blinds, shades, and woven woods, as well as custom bedding and upholstery. Our staff would love to learn about your ideal window coverings! Contact us at 512.300.2588 to schedule your initial consultation for custom drapery, motorized window treatments, or custom pillows and upholstery. Drapes and window coverings are my love, but I also do rugs, pillows, accessory selection, shutters, shades of all kinds, furniture placement. I am available for a consultation only for a fee. I have beautiful fabrics to work with, and professionals that fabricate and install my designs. This is truly custom for the discriminating home owner. I have been influenced by the places I have lived, Houston, San Antonio, Fredericksburg, Austin, Cedar Park and East Texas. My Father was an artist and antique dealer. Let me help you!